Here we explain a little bit about how our cleaning services can effectively remove the odors coming from your carpets, couch and various upholstery. Odors are common in homes with smokers, pets and young children. Some causes of odors are very hard to identify. Mess than is hidden can be left to fester over long periods of time. We use advanced industrial extractor vacuums to pull and collect imbedded dirt and bacteria from surfaces that would otherwise be un-cleanable. Your normal domestic vacuum cleaner will only really be pulling off the tops layer of dirt from your carpet. It won't have the power of capability to address the more stubborn and deep rooted concerns that lay within the base structure of your carpets tight weave. In order to have your odors removed effectively and for the long run, you need to have the dirt and bacteria causing the smell to be completely extracted. We use a specialist floor extractor device that resembles a high powered vacuum to get the bacteria that is imbedded deep within your carpet. 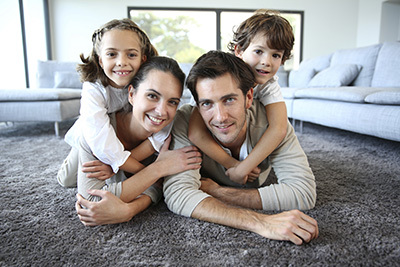 As well as this, we apply the latest anti-bacterial carpet solutions that are designed to combat the spread of bacteria and prevent it from taking up in the first place. This means after our odor removal treatment, your floor is likely to go on for longer smelling fresh and clean before it develops another odor. Some techniques are more successful than others. Those that combine steam cleaning with purpose made specialist solutions are often the most powerful and provide the highest percentages of achievement. Such practices also ensure your carpet is not damaged. One of the most common examples is pet urine. It can be colorless and impossible to spot. If you believe there are areas within your home that could have urine stains creating odors within your rooms, we will certainly be able to help. We can employ different techniques to identify patches of contaminated areas. One way to do this is with UV light equipment. We can then see where the bad spots are and address them accordingly. There are several specially designs solutions that can be applied to effectively remove odors from pets' urine and other pet related mess. When the dirt is loosened by the solution, it can be then extracted with our vacuums. Contact us for the best Odor Removal Services today!